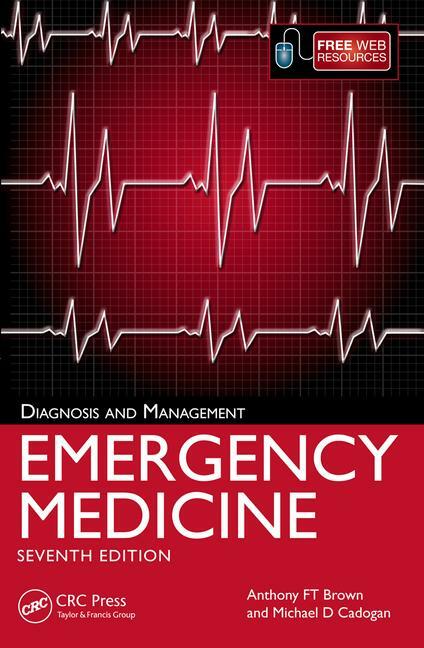 Emergency Medicine: Diagnosis and Management incorporates the latest ideas and evidence base underpinning best practice emergency medicine care. 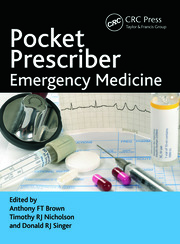 This book covers a wide variety of emergencies, including general medical, critical care, infectious disease, foreign travel, acid-base and electrolytes to surgical, orthopaedic, paediatric, obstretrics and gynaecology, ophthalmic, ENT and psychiatric, as well as toxicology, practical procedures and administrative and legal issues. Presented in an easy-to-read format, the book includes succinct bullet point text, synoptic tables, charts and diagrams to find key information quickly, in a new edition aimed as much for use at the bedside as it is for studying. Every emergency topic is approached in the same standardized format covering first the Diagnosis and then Management. Diagnosis includes essential knowledge to elicit in the history including background and epidemiology, characteristic features on examination including vital signs and organ-specific findings, and investigations such as bedside testing, laboratory testing, and radiology. Management then covers general supportive measures, specific treatment, and the disposal decision including whether time-critical, to which specialty and conversely who may safely go home. The text is supported by a wealth of additional online material at www.lifeinthefastlane.com including high-resolution clinical images, videos, case-based questions, examination material and links to online references. This edition is completely revised and contains up-to-date evidence on every topic, including the latest 2015 CPR guidelines, sepsis guidelines, major trauma management, HIV care and many other newly released treatment protocols. Mike Cadogan, MA(Oxon), MB ChB (Ed), FACEM, staff specialist in emergency medicine, Department of Emergency Medicine, Sir Charles Gardiner Hospital, Perth, Australia; and chief medical editor and co-founder of Lifeinthefastlane.com.